Have you RSVPed to our launch party on Facebook? We’re going to be hosting a HUGE Rafflecopter giveaway with $100, $35, and $15 Amazon gift cards up for grabs! In addition we have an all-star line-up of authors from the Fantasy, Sci-fi, and Romance genres. These authors will be hosting their own giveaways as well! The person who invites the most people to the event will recieve a $10 Amazon gift card. One lucky person who purchases the book and posts thier screenshot in the comments of the #LOVEPROOF thread will receive a $20 Amazon gift card. Finally, we have another $20 gift card to be drawn out of everyone who shares our premade post on social media, in thier newsletter, or who RTs our Twitter status. Make sure you post your proof of share in the comments of the original post to be entered! Winner will be announced at 8 PM EST June 20th! So, would you like to come to our event? We would love to see you there and give away some awesome prizes, including some free copies of Chasing Fireflies! 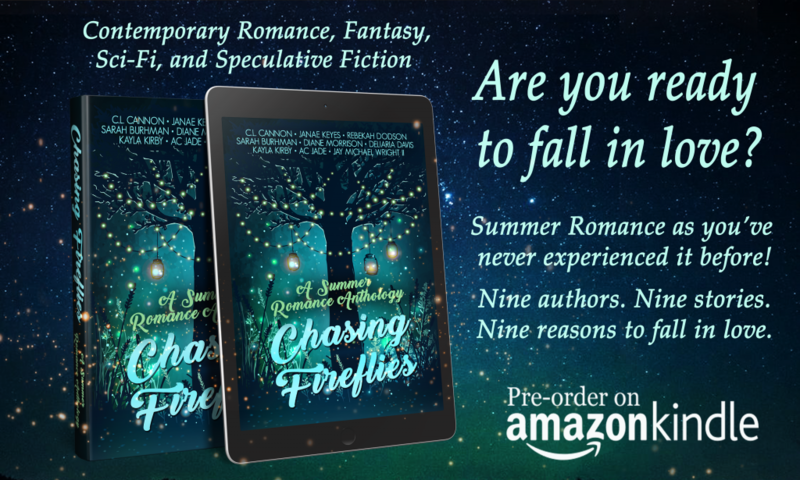 This entry was posted in my books, Promotion, Release Blitz and tagged chasing fireflies, launch party, new release, release. Bookmark the permalink.